Vogel’s, renowned for its outstanding line of mounting solutions for tv wall mounts, starts a collaboration with Danish product designer Malte Kidde. Both parties are proud to announce the first result of this fruitful cooperation with the introduction of the NEXT OP1 TV stand. In the old days the television was an elegant piece of furniture. But as screens got larger and flatter they moved from the floor, to a TV-table, to the wall. Vogel’s is worldwide renowned for its outstanding line of tv wall mounts, and yet they now introduce the NEXT OP1. This unique design of TV furniture is from the hand of Danish designer Malte Kidde. Gerdi Vogels, CEO from Vogel’s in Eindhoven explains: “We are always looking for new designs and inspiring collaborations. We are excited about this mutual cooperation with designer Malte Kidde as his product designs fit seamlessly together. It is the first piece of our Designer collaboration series“. “ I am very proud of the fact that a reputable company as Vogel's embraces my philosophy of developing elegant Scandinavian AV furniture design. I am excited that Vogel’s is finalising the introduction of the first product through a selected network of dealers and more designs are there to come “ says Malte Kidde. This trendy TV furniture is for interior design lovers that seek freedom to place the TV anywhere they like in the room. Pure and with the use of natural materials give this TV stand an elegant look. 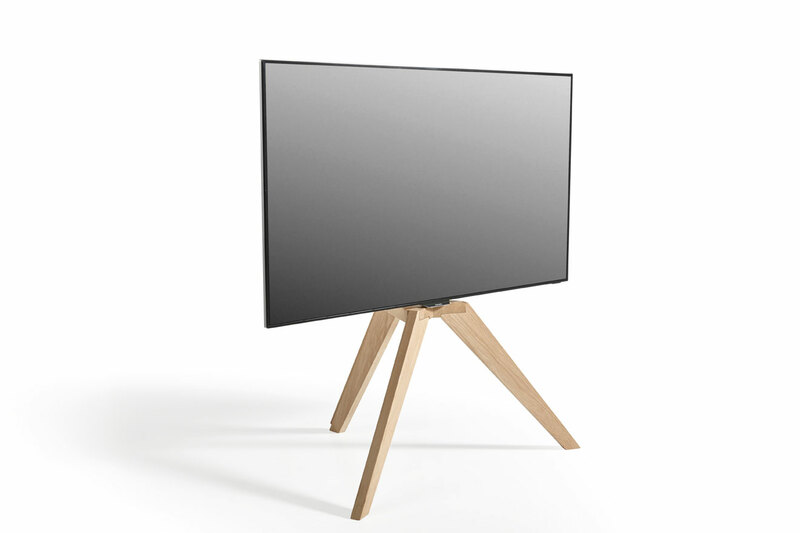 The NEXT OP1 TV stand is complementary to the range of Vogel’s NEXT Series through its high-end design. The Vogel’s NEXT OP1 is designed with the television in mind. A TV stand that could once again be moved and take a place in the living room as a beautiful piece of furniture. With NEXT OP1 you can arrange your living room however you want, without having to take the position of the television into consideration. For those who want to attach a games console to the TV, without spoiling the clean lines of the OP1 with trailing cables, there is the OPHANG accessory. The new products will be sold through the exclusive Vogel’s NEXT distribution network in the Netherlands, Germany and Scandinavia. NEXT is wanting the very best in design and functionality. NEXT is top notch in every detail. All part of ‘The Quality Signature’ by Vogel’s, giving you the best of: reliability; design; innovation; ease-of-use.